You may of read my recent Feel Unique haul if so you will no I picked up the Urban Decay de-slick setting spray amongst other things, whoops !! AMAZING that's how good I absolutely bloody love this stuff and will 100% be re-purchasing it when I get low. Now I suffer from the dreaded shine come early afternoon and often look in the mirror to see my makeup looking less then perfect despite priming and setting my makeup with powder, but not anymore I have been using this spray everyday during those warm few days we had while at work and coming home to find my makeup looking as fresh as it did in the morning. I apply my makeup as normal then just spritz my face with 3 or 4 sprays and that's it....done makeup that stays put LOVE it. If you haven't tried it I can't recommend enough, have you tried it? Wow! What a great product! 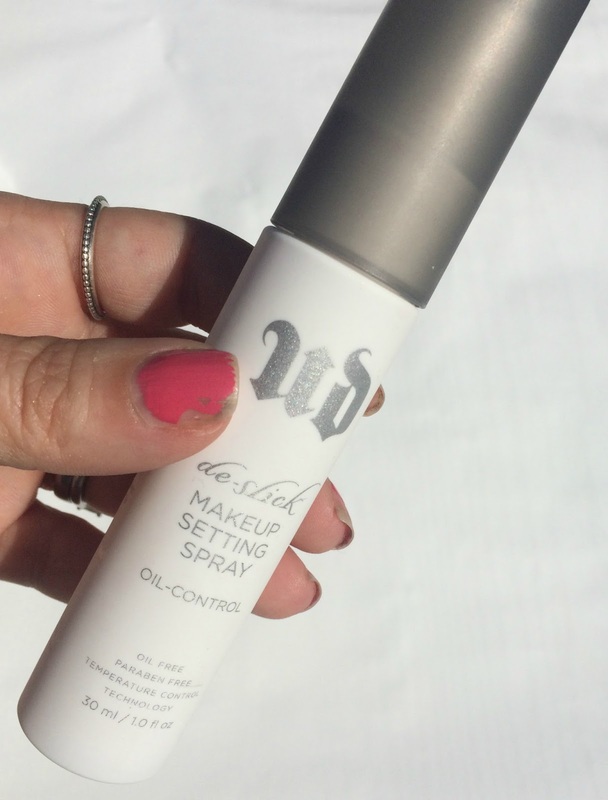 The Urban Decay de-slick spray sounds amazing! I've been looking for the perfect make-up setting spray for a while, I'll definitely have to check this one out! I really want to try out this spray, it sounds amazing! Looks like I'll definitely have to purchase this the next time I'm a Ulta! I had it in my hands the last time and put it back right before I checked out because I didn't think it was going to work or was needed. I've watched YouTube videos of gurus using this or MAC's fix plus, but I've never heard any of them say that it was essential for keeping your makeup in place, I thought all that was needed for this was a primer. Thanks so much for sharing your thoughts because I, too, get VERY oily in t-zone, so this would definitely help! I hope you have a wonderful weekend!